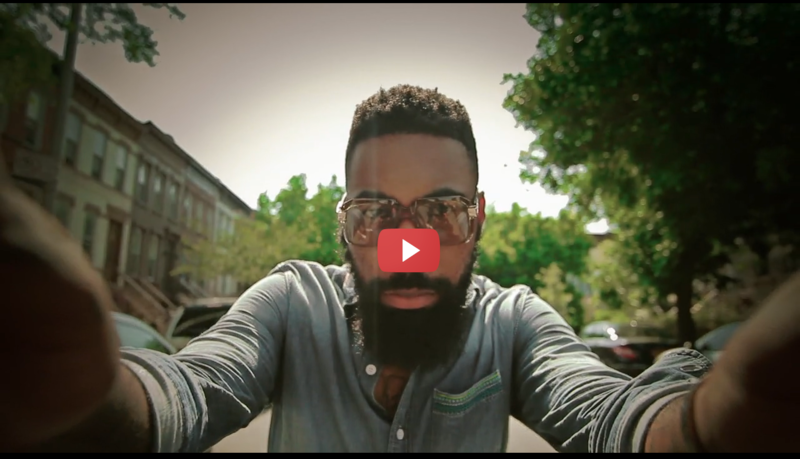 F.Stokes is a Chicago born and bred rapper and spoken word poet now based out of New York City. He tells his story with punctuating imagery and glass-like clarity as he looks at the world through the lens of his family’s shared experiences. Growing up as one of six children to a single mother in the South Side of Chicago, he shared his home with people who lived on the edge of violent death, poverty, and ghosts of abuse and addiction. He found solace in writing early on in childhood and soon began to express himself creatively through verse and spoken word poetry as he grew into adolescence and early adulthood. In 2009 he began touring in Europe in preparation for the release of his first album, 2010′s Death of a Handsome Bride. He quickly grew as a prolific artist, releasing the Baked Goods Mixtape in 2011 and Love Always in 2012. F.Stokes has performed at the Montreal Jazz Festival, The Essence Festival, and the Metropolis Festival in Holland. He has also cultivated a particularly strong fan base in the UK, where he recorded an EP with the band Bastille, and in Paris, where has sold out multiple shows and has been featured on Nova Radio. Stateside he has been featured in XXL Magazine, Source Online and HipHopDX, among others, and has toured with the likes of Ryan Leslie, Chall Tuna, Mac Lethal, Arrested Developed and Nas. Most recently he released his new album Fearless Beauty, which features production by Paper Tiger of Minneapolis indie hip-hop collective Doomtree, his most personal and political record to date. He will follow up the release with more tour dates in Europe, including theIndependence Day Festival in France on July 4th.